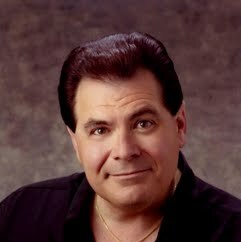 Gary Francis Modugno, better known by the nickname/stage name Gary Dunes, is a morning drive time radio personality on WSEN-FM FM in Syracuse, NY and the lead singer of the Band Code Red and Dunes & The Del-Tunes. Dunes was raised in Westvale which is a suburb of Syracuse, NY. He attended Onondaga Community College in Syracuse where he majored in radio and television. He began a singing career with his band Dunes & The Del-Tunes in 1976 while in high school. In 1981 Dunes began his radio career in Auburn, NY working part-time at WMBO. In 1982 he was hired full-time to do afternoon drive at WGVA in Geneva, NY. A year later he landed a job in the Syracuse market at WKFM doing evenings. Dunes left WKFM after an ownership change and began working part-time at WNDR in Syracuse, NY and sister station WNTQ-FM in December 1983. Within six months he was hired full-time to do evenings at WNTQ and later became the music director and midday personality. In 1991 after a long successful career at WNTQ Dunes left and took the midday / music director position at WSEN-AM/FM in Syracuse, NY.